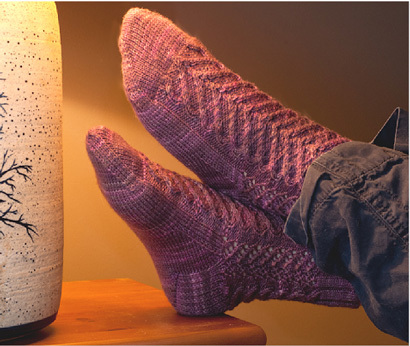 A great selection of sock and legwarmer patterns using double point or circular needles with the magic loop technique. 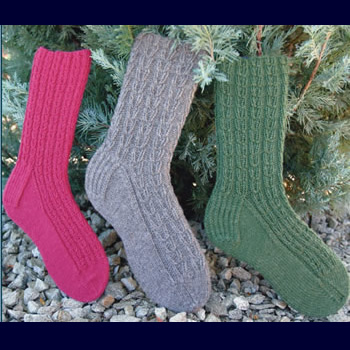 Patterns for sock (fine), sport, and worsted DK weight yarns. 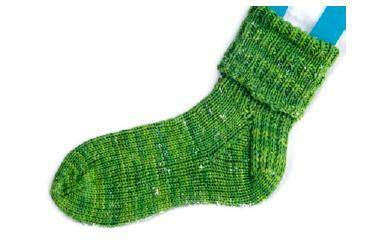 A wonderful staple sock pattern for making bulky socks. 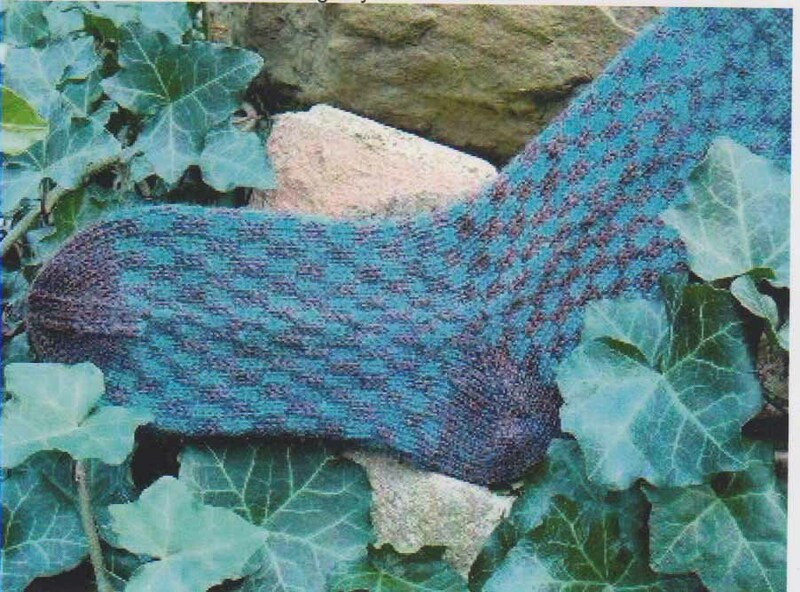 Convention 2008 Sock Pattern by Carole Wulster. Sample is knit in Jojoland Melody Superwash yarn using 2 balls each of colors MS20 and MS16. 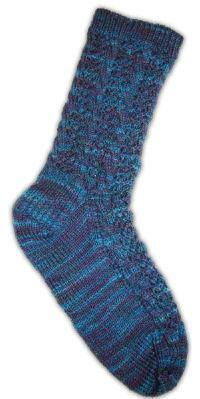 Dream in Color Cozy Socks Pattern uses 2 skeins of Dream in Color Classy yarn. 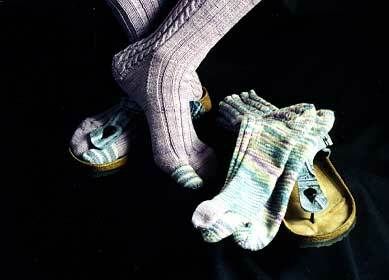 Pattern includes directions for men and womens sizes. Design by Evelyn Clark. 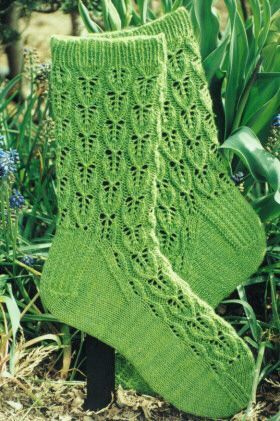 These delicate lace butterfly socks will add some spring to your step year round!. Description:The wave ribbed pattern decorates the heel while the tree motif repeats on the top of the foot. Turn socks into mini-canvases to create and send footnotes. Easily customizable design by Betsy Lee McCarthy. Beneath a scalloped border flowers bloom around a stem of decreases and ribs create vertical lines. Design by Evelyn Clark. 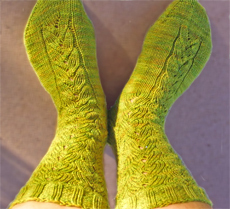 Toe Jazz Sock Pattern designed by Joanne Clark. Pattern #A17. Basic socks with pretty lace rib cuff. 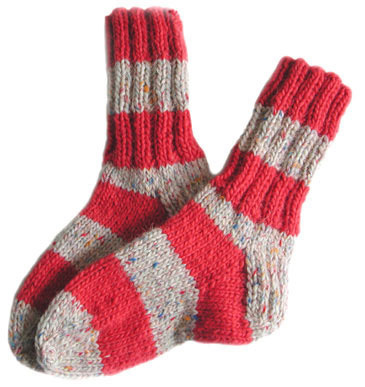 These socks begin at the toe, so there is no grafting needed.